ONLY $14.99 ! ! ! Finding objects couldn’t be easier! A 1x, or unit power finder scope designed so you can point the telescope while scanning the sky with both eyes. A mirror lens projects the image of a LED illuminated pinpoint into the line of sight, providing you with a red dot of light to center on the object you want to view. Something like having a laser pointer that reaches into the sky, it greatly simplifies finding objects. The StarPointer can be used during daytime observing as well. Please note: Comes with two bases: one flat low profile and one tall base. Does not come with screws. We are an authorized Celestron distributor. 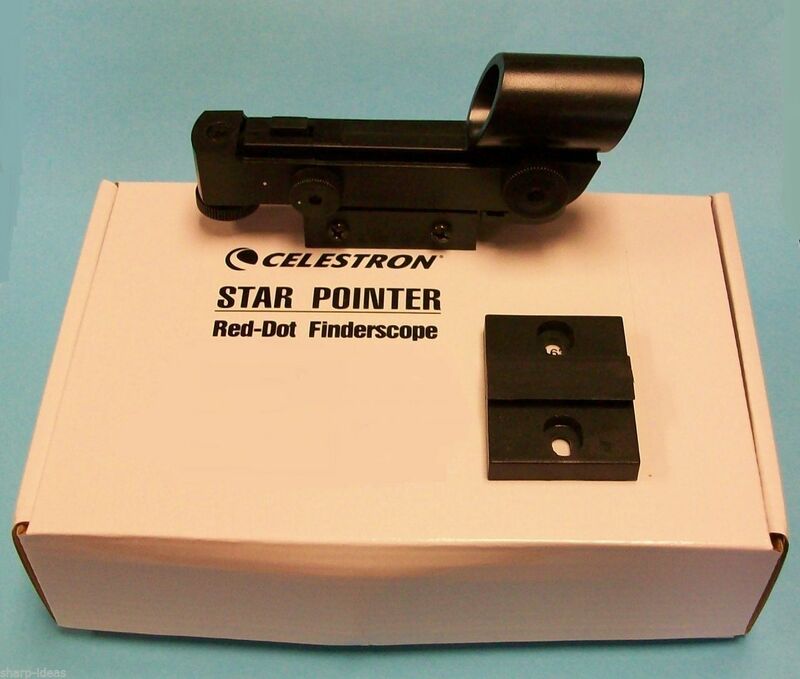 This Celestron product is new in box. NOT a customer return or refurbished product.